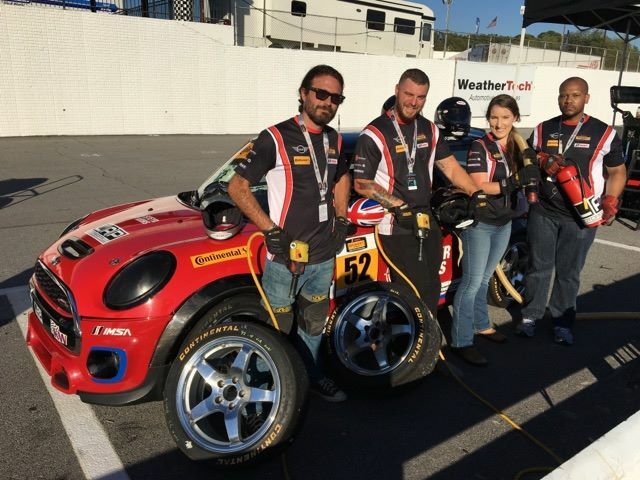 Road Atlanta played host to the 10th and final round of the 2016 Continental Tire SportsCar Challenge. 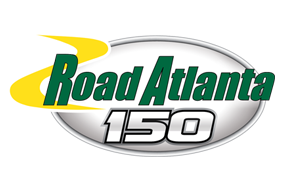 The Road Atlanta 150 will be the last two and a half hour race as the series changes things up for next season. 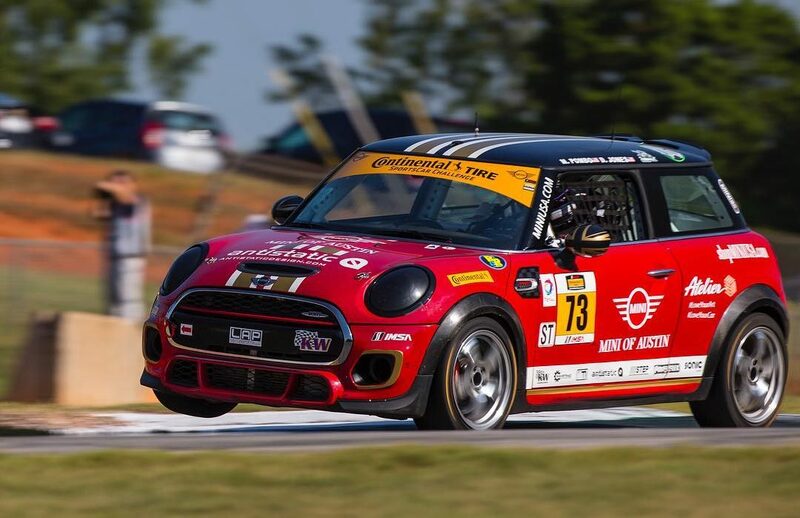 The 2015 season finale at Road Atlanta was a memorable one for the MINI JCW Team. Derek Jones and Mat Pombo took the #73 to the teams first ever podium and best finish of 2nd. This season the duo would be looking to do one better in hopes of capturing the teams first ever victory. 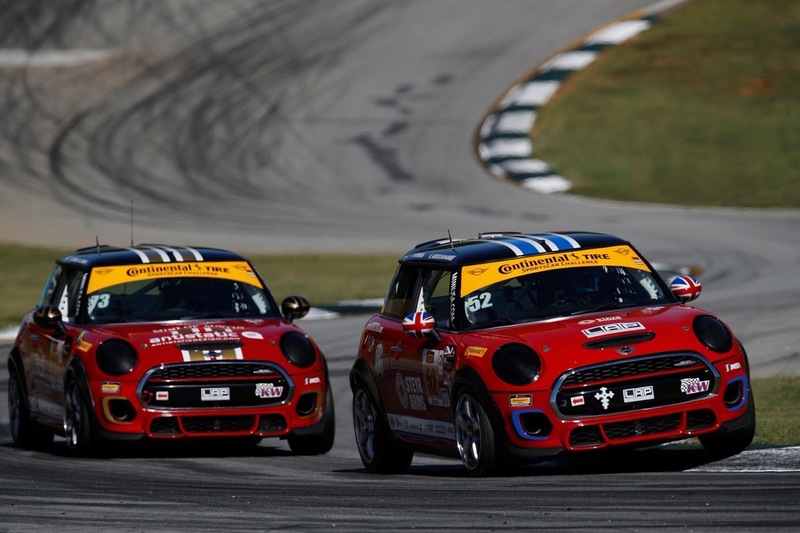 All three MINIs had promising practice times and looked to carry that momentum into qualifying. Derek Jones was in the #73, with Nate Norenberg in the #37 and Ramin Abdolvahabi in the #52. A hard incident involving the #54 would bring out the red flag eliminating half of the qualifying session. Luckily this wasn’t before Jones and Norenberg could get in some excellent qualifying laps. Jones was able to get in a lap of 1:37.435, good enough for 4th starting postion, followed by Norenberg in 7th and Abdolvahabi in 17th. Things were looking good for the teams run at Victory in the main event. With the green flag in the air the field sped to life. The first half hour saw some tight racing battles. All three MINIs were able to hold steady as the dogfights continued. Following a full course yellow Jones moved into 2nd with Norenberg not far behind in 4th. While Jones was able to hold down his position, it was a tough battle for Norenberg. Stuck in a gaggle of cars he would move up and down positions in the top 5 as the cars around him were equally fast. With an hour and a half left Abdolvahabi had an unfortunate incident in which he hit the wall. He was able to get the car running again and return to the pits just before the caution came out for another on-track accident. With the caution out the entire field took the opportunity to enter the pits. Good quick service would be important if the MINIs wanted to maintain their track position. Hire Heroes USA pit crew. The team partnered with Hire Heroes USA this week. With this partnership came a 4 member all military veteran pit crew. This crew would be responsible for pitting the #37 and they were put under pressure by this high-stakes pit stop. The crew performed well as they changed the tires and fueled the car while military veteren Mark Pombo replaced Norenberg behind the wheel. With only one spot lost on pit road Mark Pombo would rejoin in good position for the restart of the race. #37 pits for service by Hire Heroes USA crew and performs driver change. Jones would be replaced by Mat Pombo and rejoin the race in 4th place. Mat Pombo would be looking to repeat the performance he had at last year’s event. This was it, the moment the team and all the fans were looking forward too, the run to the finish. The Pombo brothers set out with fierce determination as the green flag dropped. Fighting hard they moved up to 3rd and 5th place with one hour to go, Mat leading the way. 40 minutes to go: Mat pushes hard in an effort to pass the #56 Porsche. He ends up going off course but luckily saves the car from any major damage and rejoins the field in 8th. 20 minutes to go: Mark and Mat go three wide with the #84 BMW for position. Mark makes the most of it getting past both and moving into 5th with Mat in 6th. 18 minutes to go: The #25 Mazda exits the race with mechanical issues, allowing the Pombo brothers to move up one more position a piece to 4th and 5th. As the minutes tick by the action picks up. With both Pombo MINIs desperately trying to gain position. As they approach the 3rd place car contact is made as Mark bumps into the rear end of the #56 Porsche. Mat takes full advantage, passing both and taking over 3rd. With time running out Mat finds an extra gear and charges forward. He approaches the 2nd place #93 Honda Civic and quickly gets by him. Still under pressure by the #93 Mat presses hard, at one point getting of course and momentarily going airborne as he continues to hold down the position. Thirteen seconds behind the leader Mat wouldn’t have a chance to run him down but was looking good to follow up on the #73’s second place performance at last year’s event. But then there was a devastating turn of events. With one lap to go Mat experiences an issue with his #73 JCW, bringing back memories of Road America. With a podium in sight the #73 would falter. While the #73 wouldn’t get the win or podium finish they deserved it was still a good race for the MINI JCW Team. The #37 of Norenberg and Mark Pombo would finish in 4th place and the #73 of Jones and Mat Pombo finished 5th. Adding to a series of firsts this year, this is the first time the team has had two top five finishers in a race. With continuing improvement throughout the season we’re left with a lot to look forward to next year. Full MINI results below, full field results can be found here.